The Additional ASP® Sponsors and Vendors listed below are alphabetized for your convenience. As a Consumer to receive discounts or savings from the vendors below click the vendor to see whether to contact your local ASP® or order directly below. As you become an active ASP® you will have access to all discounts and savings with the vendors below automatically through the Staging University. Get discounts on removal of your unwanted clutter! Contact your local ASP to learn more. Get 5% off on your invoice for junk removal services. Click the link below to go to the ASP 1-800-GOT-JUNK web site or call 1-800-GOT-JUNK. Be sure to use code 277. Stage your homes on-line in 3-D! Using the power of the internet you can instantly apply your ASP Home Staging techniques to visualize how it will look BEFORE you move a stick of furniture. After you have successfully completed the 3 day ASP Course you are then eligible to register for and attend the Masters Course with The Creator of Home Staging, Barb Schwarz, ASPM, AB, RLS and Certified Speaking Professional by the National Speakers Association. The Masters Course is named the `Masters` because you will learn from the Master of Home Staging, Barb Schwarz. Barb is recognized around the world as The Creator of Home Staging, which she invented in the early 1970`s. You will benefit greatly from her 35+ years experience of Staging as well as her successful business model of how to run your ASP Home Staging business. Barb has Staged more homes than anyone else in the world. Therefore, as The Creator of Home Staging, as a Real Estate Broker, and as a nationally award winning speaker who has taught more than 18,000 hours from the platform, you will have an incredibly productive week. Through the ASP Merchant Account you can setup your own merchant account to accept all major credit cards for your business. Getting paid is just a phone call away. Be Professional. Be Secure. Be Insured. Business Insurance for the ASP Home Staging Professional from an insurance agency who truly understands the insurance needs of ASP Home Stagers. StagedHomes.com is pleased to announce the availability of a NEW Health Insurance Program for ASP® members and families. Proud supplier of lighting and furniture accessories to ASPs. Contact your local ASP to learn more about the bellacor selection. Customized Identity Packages designed exclusively for the ASP Home Stager! 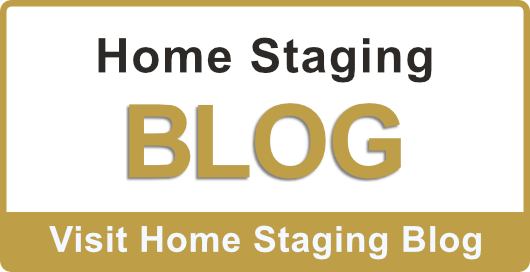 Working with ASP Stagers across the country to help sellers get the most equity from their ASP Staged home. 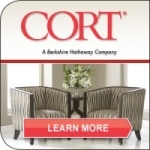 Contact your local ASP for Furniture Rental Savings with Cort. Display Fake Foods. Realistic Artificial Display Foods & Drinks! Offering the largest assortment in the industry, the highest quality, and the most realistic looks. Over 1000 styles to choose from. Bring any living space to life! Special Discounts to accredited ASP members. 30% off for ASPs! The E-Z DECORATOR Furniture and Room Planner is the go-to furniture placement kit for the busy, professional ASP® Stager. This easy-to-use layout tool is hands-on so there is no computer needed! It is invaluable on the job site or in your office... you can quickly draw in your room dimensions (with the marker that is included) and then easily peel-and-press the static cling furnishings right onto the floor plan! The furniture drawings and grid are all dimensioned in 1/4" = 1 foot scale. Once you get the layout that you want, simply take a copy, remove the furniture drawings and reposition them back in the binder. The drawings last forever so you will be able to use this handy tool for years to come. easydecor is proud to support ASP professionals across Canada for short term rentals of quality furniture and accessories and with the most competitive pricing in the industry. NextStage Furniture Replacement Systems simplify the process and reduce the cost to ASP Stage properties for sale on the real estate market. Get Your Pier One Designer Association Membership Card here. ASP's Qualify for the membership card and savings. Save 15% everyday of the week At Pier One! Now you can truly eliminate awful odors like pet urine, cigarette smoke and musty smells from mold and mildew! Forget all the fresheners as they do not work, they do not eliminate ordors permantely like Febreze, Lysol, Oust, Neutra Air, Carpet Fresh, Plug-ins...just to name a few. Instead get PuryAyre, becuase it Works! Ask any ASP® and they will tell you it works! Order by clicking the PureAyre Bottle Now! Order a bottle, or a kit, or a gallon or a fogger but get PureAyre, you will be so happy you did! Second Chance was born out of the desire to save as much from the landfill as possible. As our local donation centers started turning away really nice furniture, we UP-CYCLE and refinish them giving them a second chance in another home. We also do a little good in the community by selling boutique items at affordable prices with our profits benefiting local charities. Great for Stagers! Sherwin Williams Paint - 15% Discount coupon! Get discounts on paint. You will receive special savings every time you shop at your neighborhood Sherwin-Williams store. Simply print the e-card and present it to your sales associate the next time you visit a Sherwin-Williams store. Simplicity Sofas is an award winning North Carolina manufacturer of high quality sofas and sectionals with unique features designed to meet the special needs of ASPs. Our furniture includes many unique advantages for home stagers that cannot be found anywhere else. The modular nature of the furniture allows it to be transported in individual component parts (base, back, arms, cushions) that can carried by a single person. Repairs are simple and quick as most problems can be fixed simply by replacing a single component. Assembly takes just a few minutes. Watch the video of an 8 year old assembling a 170 lb. 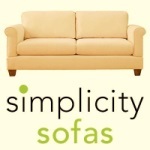 Simplicity Sofa by himself in less than 4 minutes. 8 year old assembles sofa. Disassembly is even faster. The furniture is designed to be assembled and disassembled hundreds of times with no loss of structural strength. Transportation and storage of the furniture are important benefits for ASPs. Unassembled, a sofa stores in less than half the space of a conventional piece. Two sofas can fit easily in a minivan or SUV. Narrow doors or stairways are not a problem. All Simplicity Sofas furniture is made to fit through any entranceway wider than 15 inches. Some can fit through even narrower spaces. All Simplicity Sofas furniture is custom-built to your specifications in 30 days or less and delivered right to your door (or the door of your customer) by UPS Freight. Choose from over 200 fabrics. 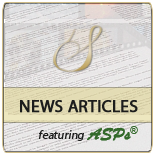 ASP® Tools for ASP® Real Estate and ASP® Stager. A portable, simple-to-use sales tool that uses scaled magnetic symbols of furniture and related items for on-the-spot room planning and 'on the fly' Staging consultations. Simply select the desired symbols, place them in position on the planning board and photo-copy the results. The Junkluggers is an environmentally-friendly alternative to conventional junk removal. We haul away items that people no longer want or need and strive to donate and recycle on behalf of our customers, offering a tax deductible receipt for anything donated. Our prices are based upon volume of the truck with labor and dump fees included. We are ready when you are, often with same day and next day appointments available. Junkluggers is in many location in the northeast and is expanding quickly via franchises. UNITS Portable Storage provides the highest quality, strongest, most cost effective, mobile moving and portable storage containers in the industry. UNITS containers are a significant up-grade over other leading competitor's containers. Our containers are built with a steel frame, fiberglass walls, integrated translucent roof, and a hardwood floor. We offer secure, water tight, attractive portable storage containers that will not damage your property. You can store your belongings during remodeling, decluttering, staging to sell, or repair of fire or water damage. We can move you across town or across the country. Although we did not invent portable storage, we perfected it. For savings contact your local ASP® through our ASP® Directory. To enjoy savings on items at Wayfair contact your local ASP or ASPM! Ready to experience the next level in Staging service? We invite ASPÂ® Home Stagers to enjoy our Trade Services with trade pricing, exclusive product collections, and personalized service from a representative who knows the industry inside and out. Enjoy your benefits across our family of brands, including Wayfair, AllModern, Birch Lane, DwellStudio, and Wayfair Supply. The Williams-Sonoma ASP Staging Program offers many benefits and discounts to registered ASP Members.